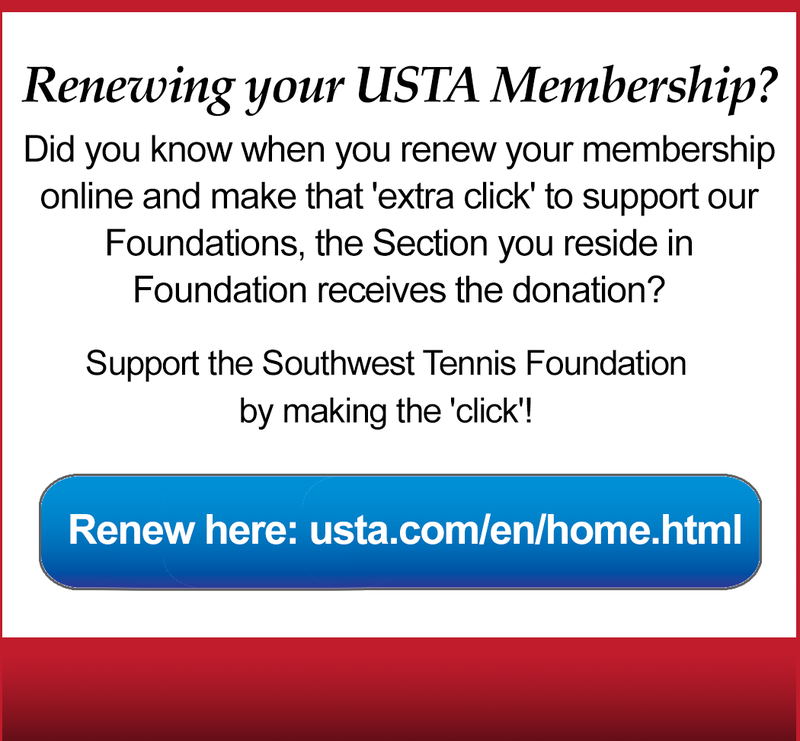 Silent Auction Fundraiser at the USTA Southwest Hall of Fame and Awards Ceremony. Come enjoy a cocktail and bid on our exciting items! All proceeds go to supporting our grants/scholarships and to make tennis available to all people, making it possible for them to enjoy the mass health and social benefits of the sport while expanding their personal potential. A special Thank You to all our Donors! Check our their sites as well as items donated. Thank you to our Board Members and the Southwest Section Board & Staff for donating wine for our Wine Baskets. We are adding items all the time. Check back for more exciting items that will be available to bid on that night in person. Tickets are $50 for the Auction/Awards Dinner, includes one cocktail if you mention SWTF when you order.